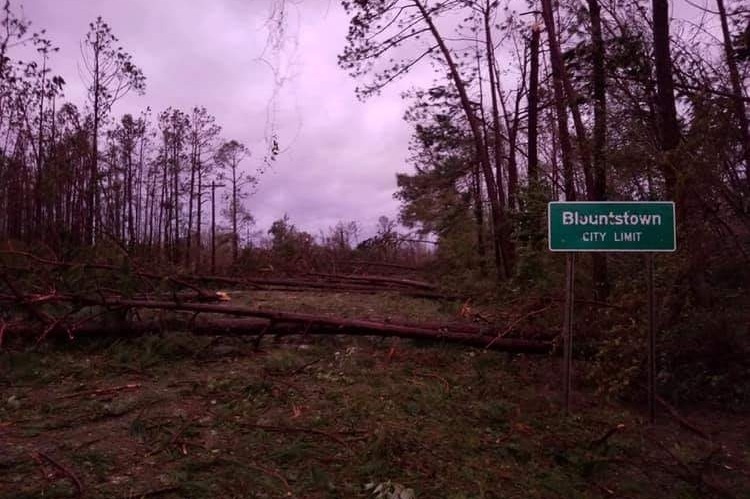 Hurricane Michael left a 40-mile wide path of complete destruction throughout the rural counties of Calhoun County, Liberty Country, and Jackson County. My hometown of Blountstown, FL is completely unrecognizable! 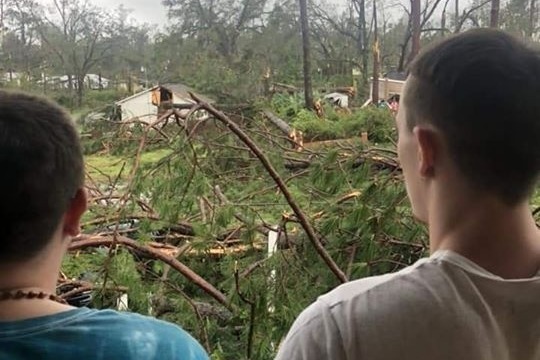 Hundreds of people were left with nothing and more were trapped inside or underneath their homes due to the extensive tree damage. Gas is sparse. Food is scavaged for by many. And since the vast majority of citizens draw their water from wells, they also have no water. Looting is becoming a serious problem for what most people call a quiet little town. People are scared and are fighting for basic survival needs. The objective of this campaign is to raise funds to supply these counties with food, water, and gas. We will also be providing chainsaws and generators to those in need. 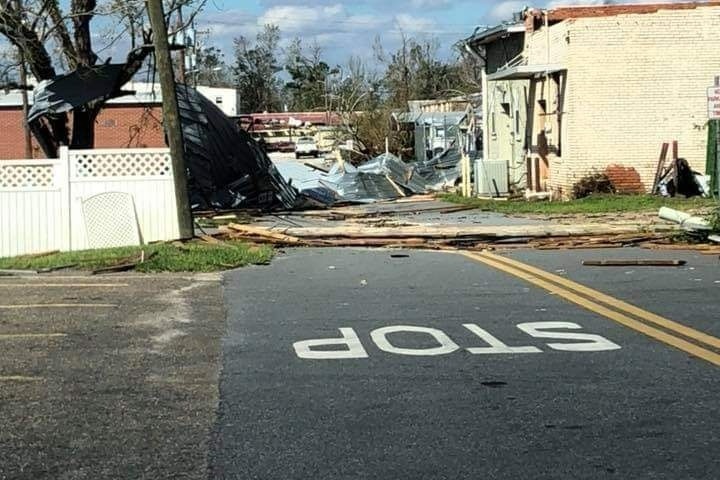 FEMA has declared these counties as a state of natural disaster, but their efforts are currently focused on more populated areas in Bay and Gulf county at this time, leaving these rural areas to fend for themselves. Currently, Dalton Trucking out of Victoria, TX is in Blountstown, FL cooking as many free hot meals as they possibly can. But, supplies are running out. There is very little gas for the generators and food is almost gone. On Friday, October 12th, Dalton Trucking provided 3000 people with a hot meal. They are expecting even more as time goes by. I, Jonelle Dudley, with Binnacle Marketing, have partnered with Dalton Trucking to raise supplies to keep this effort ongoing. Please help us support these rural areas! If you have materials and supplies that you would like to donate locally to the Tallahassee or Big Bend area, please email jonelle@binnaclemarketing.com. We have delivered 4 truckloads of essential supplies and food at this point. We will be taking another truckload of hygiene, baby, and cleaning supplies to the Abe Springs Baptist Church in Calhoun County. This church has been feeding and clothing people in even more rural areas that aren't receiving much help from FEMA or the Red Cross. These people are predominantly elderly citizens with very little resources. Thank you again for your donations. These funds are making it possible to give the help this community needs! We couldn't have done this without you! Thanks to your generosity we were about to load up a truck filled with a ton of fresh fruit, diapers, wipes, drinks, hygiene kits, and dinner plates! Thank you to Sams Club in Tallahassee for helping us load it all up! Also big thank you to our volunteers! We still need all the hands we can get at the truck! We need some people to run the smokers and to help hand out food! Power may be out, but you don't have to be bored! Come out and give us a hand! We are feeding people from all walks of life. Some victims even walked from bay county to us because they lost everything! Texas Roadhouse will be here today to cook food for everyone at the Pig in Blountstown! Insider Edition stopped back by to check on the Dalton clan and see how they were holding up. The new donation center is the old dealership off of hwy 71. Please contact the red cross for an exact address. Today is a new day and there are more mouths to feed. We will be coming in from Tallahassee with another load of supplies Wednesday morning! Thank you again for all your help and donations! The Dalton Trucking clan and many volunteers fed close to 10,000 people today!! 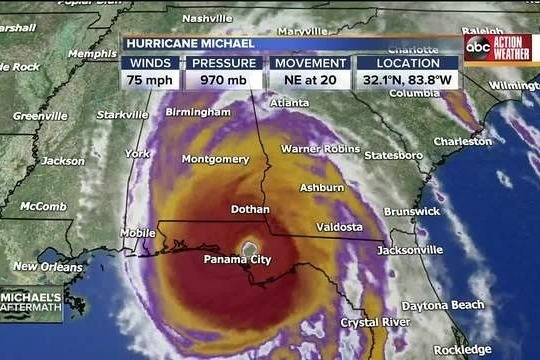 I am headed to Tallahassee now to get more supplies!!! Thank you, everyone, for your help! This town is in survival mode right now and it's only going to get worse as time goes by. You're donations are being put to great use to help others whom have lost everything!